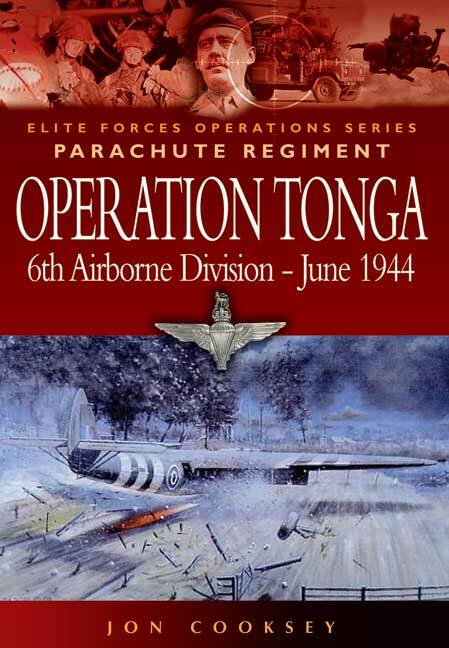 You'll be £10.39 closer to your next £10.00 credit when you purchase Operation Tonga. What's this? The seizure of Pegasus Bridge by six glider borne platoons of the Oxfordshire and Buckinghamshire Light Infantry under Major John Howard very early 6th June 1944, is one of the better-known stories of D-Day. Landing just yards from vital bridges over the River Orne and the Caen Canal near Bénouville, Howard's men took and held the bridges in a remarkable coup de main operation with minimal casualties. The 7th Parachute Battalion dropped in soon afterwards to relieve Howard's men and the action remains, by any standards, a remarkable feat of arms. But it was only one act in a much grander production put on by 6th Airborne Division that night to secure and protect the eastern flank of the Allied landings inland from Sword, the British landing beach. Key bridges over the Dives had to be blown to foil possible German counter attacks and to north east, at Merville, a battery of guns which the allied planners thought could wreak havoc on the beaches and ships at sea, had to be eliminated. The task fell to the men of the 9th Parachute Battalion, whose actions in assaulting the Merville Battery became another D-Day epic - but for very different reasons.